Arbitration in Brazil has developed significantly over recent decades. The latest ICC statistical report for the year 2016 shows an increasing number of Brazilian parties using arbitration, with 123 Brazilian parties compared to 112 in 2014, placing Brazil in 3rd place in party-rankings worldwide. Brazil is today described as having a pro-arbitration legal regime and arbitration is frequently used in the construction and infrastructure sectors. Influenced by Spanish arbitration law and the UNCITRAL Model Law, Brazil’s Arbitration Act (“BAA”) was enacted in 1996 and was recently amended in 2015. The BAA governs both domestic and international arbitrations in Brazil. Pursuant to the BAA, an arbitration agreement, either in the form of an arbitration clause or of an arbitration submission, must be in writing. It can be included in the main contract or inserted in a separate instrument. The arbitration agreement is separate from the underlying contract. Consequently, if such a contract is held to be null and void, this will not necessarily render the arbitration agreement invalid (BAA, Article 8). The parties are free to select the applicable law to the arbitration agreement as long as it does not violate morality and public policy. However, arbitration is limited to disputes concerning disposable patrimonial rights. The 2015 amendment clarified the issue of arbitration and Brazil’s public administration. State entities can arbitrate disputes concerning disposable patrimonial rights, but arbitration must be conducted de jure and be public (BAA, Article 2). Parties should also include in their arbitration agreement an odd number of arbitrators along with the rules for their appointment. Parties may refer to the rules of arbitral institutions for the appointment of the arbitrators. However, the parties may mutually agree not to be bound by the arbitral institutions’ rules that provide for the selection of the arbitrator, co-arbitrator or chairman from their rosters of arbitrators. If the parties fail to specify how to appoint their arbitrators, then domestic courts are given the power to determine this (BAA, Article 13). In accordance with Article 14 of the BAA, a person linked to the parties or the dispute at hand cannot act as an arbitrator. Further, an arbitrator is required to act with impartiality, independence, competence, diligence and discretion. The BAA requires the arbitrator to disclose any information that could raise doubt as to their impartiality or independence, prior to their appointment. The annulment of an award may be sought before Brazilian courts within 90 days after it is rendered. The invalidity of the arbitration agreement, the lack of capacity, of independence and/or impartiality of an arbitrator, and the failure to meet formal requirements, constitute the primary grounds for annulment under Article 32 of the BAA. An award contrary to public policy may also be annulled. Concerning the enforcement of arbitration awards, Brazil ratified the 1958 Convention on the Recognition and Enforcement of Foreign Awards (“New York Convention”) only in 2002. Awards rendered in Brazil are today enforceable without any further step. The recognition of foreign awards requires a homologation and must be recognized by the Supreme Tribunal of Justice since 2014 pursuant to Article 38 of the BAA. Regarding the enforcement of foreign awards annulled at the seat of arbitration, in 2015 the Superior Court of Justice held inadmissible recognition of an award that was annulled at the seat of arbitration, unlike in many European countries such as France. It considered that the recognition of the ICC award that had been vacated in Argentina, the seat of arbitration, would violate, inter alia, the BAA as well as the New York Convention of 1958 (EDF International S/A v. Endesa LatinoAmérica S/A & YPF S/A (SEC No. 5.782/AR). Domestic arbitration is also increasing in Brazil. Brazilian arbitral institutions now administer a considerable number of cases. The Arbitration Center of the Brazil-Canada Chamber of Commerce (CCBC), the Chamber of Mediation, Conciliation and Arbitration of São Paulo (CIESP/FIESP), the Arbitration Center of the American Chamber of Commerce in Australia (AMCHAM), the Arbitration and Mediation Chamber of Fundação Getúlio Vargas (CAM/FGV) and, the Business Arbitration Chamber: Brazil (CAMARB), are the principal arbitral institutions. Brazil was long the “black sheep” of international arbitration. Since 1996 and the enactment of the Brazil Arbitration Act (“BAA“), however, Brazil has made significant steps to foster international commercial arbitration. The ratification of the New York Convention of 1958 was a major improvement and Brazil is now considered arbitration-friendly State. 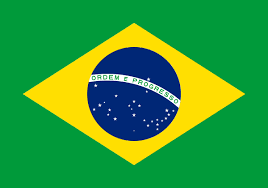 Yet, Brazil remains a non-signatory of the 1965 Convention on the Settlement of Investment Disputes between States and Nationals of Other States and its recent Cooperation and Facilitation Agreements with Mexico, Angola, Colombia, Malawi, and, Mozambique, do not provide for any investor-State dispute settlement provisions. The current arbitration law of Brazil, as modified in 2015, may be found in its integrality below.